In 1985, Michael studied Mandarin at Xiamen University. In 2011, he joined the faculty, teaching English to International Economics and Trade students. At the time, XMU's freshmen and sophomores studied at the Zhangzhou campus, across the bay on the mainland, so we also lived over there. In 2012, the university moved (and so did we), giving this campus to its sister school: Tan Kah Kee University.  (Click here for a map of the area.) The following photos are from Michael's 2011-12 school year. 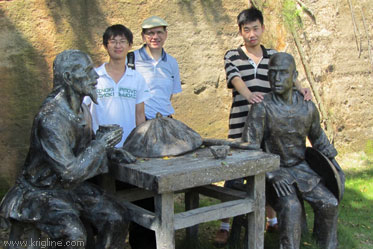 (Right) Michael and students pause by statues at the fort. Big guns like this one have guarded the harbor for over 100 years. 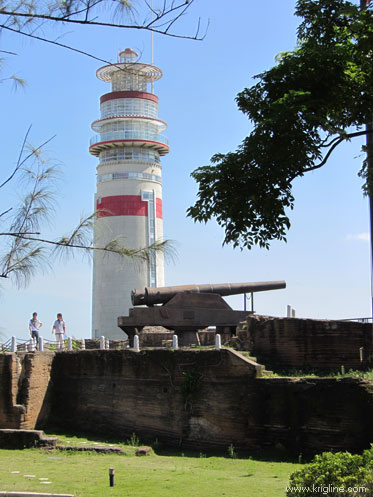 The sister fort, Hu-li-shan (next to the university) is more famous, but this fort next to the Harbor Master lighthouse is free! 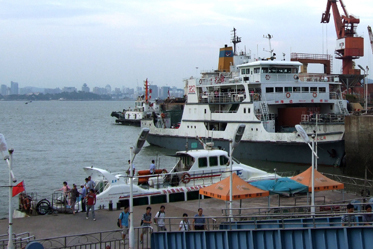 You just have to use the ferry to visit Zhangzhou Development Zone. Vivian took this photo by the university's north gate. "A" was our apartment building, just five minutes away! "B" is a mountain that was being moved (to create an island with expensive homes). "C" is the local police station (with the hospital next to it, not visible in this photo). Behind the police station you see other tall apartment/condo buildings (mostly empty). "D" is one of several entrances to the village across from campus, where students go to eat out (when they get tired of cafeteria food), buy clothes, get haircuts, quench their thirst (mostly with non-alcoholic drinks, often flavored with teas or fruits), fix mobile phones, and do the other things that college students like to do. Above, students dining with Vivian and I near campus. One of the best things about living near the students is the chance to see them outside of class! 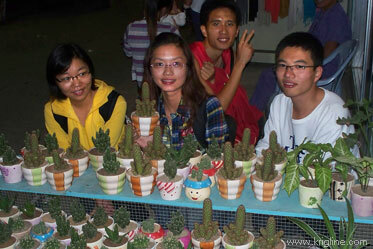 Below, some of my 2011 students help us pick out a cactus after enjoying dinner together in a local restaurant. You know the climate is dry when the local "florists" mainly sell cacti! This is the university's main "teaching area", about 15 minutes walk from dorms (in either direction). The old XMU campus is known as one of the most beautiful in the world, and this "sister campus" also lives up to this reputation. Amenities include a lake used for "dragon boat" practice, and a swimming pool and small golf course (for Physical Education classes). The passenger ferry and car/truck ferry dock a few miles from the Tan Kah Kee campus. 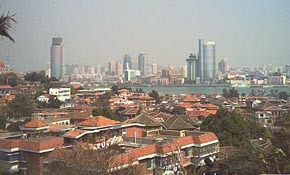 That is Xiamen in the background. 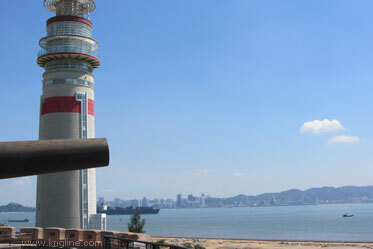 Xiamen is a beautiful port city in Fujian (across the bay from the Zhangzhou Development Zone). “Downtown” is seen here from Gulangyu—Xiamen’s charming neighbor-island with lovely old homes, quiet beaches, and many other attractions. 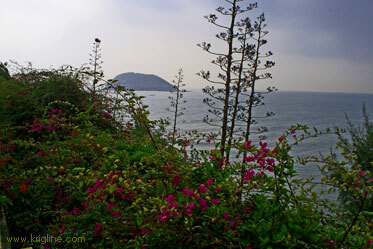 (2002) Someday, I may get time to post more Gulangyu photos! About 2 hours down the coast, you can find another historic treasure: The Volcano National Park. While there are not a lot of photogenic spots, it is a lovely, quiet park--a great place to get away from the bustle of life in China.